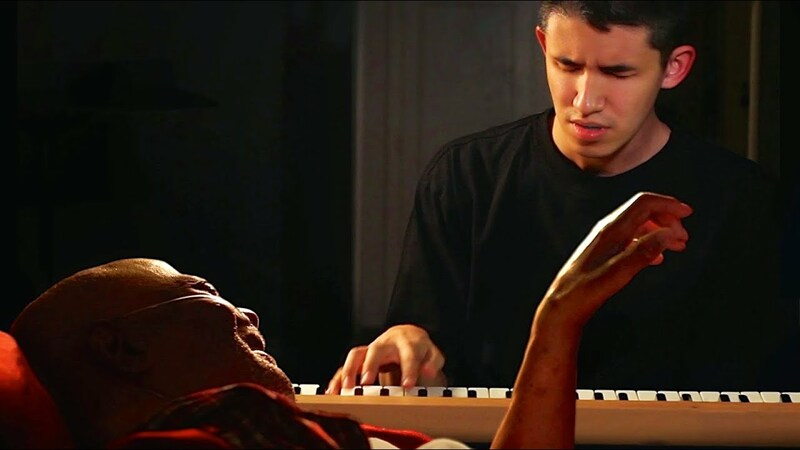 Had the opportunity to watch "Keep On Keepin' On", the documentary created by filmmaker Alan Hicks about the relationship between nonagenarian Clark Terry and, at the opening of the film, 23-year old pianist Justin Kauflin. Mr. Terry should need no introduction as he has been a part of the American music scene since the mid-1940s, playing his trumpet and flugelhorn with so many influential bands and small groups as well as appearing on over 900 albums, 114 as a leader or co-leader. The Clark Terry we see in the movie is mostly bed-ridden (due to the crippling effects of diabetes) yet is still teaching, even after his legs are amputated. But, don't think view this documentary as an obituary or even a tragedy. While Mr. Terry shown practicing early in the film, what you really see is how he remains a vital teacher and mentor for young musicians, in this case a young pianist from Virginia, Justin Kauflin. The 2 men share a love, a passion, for music, for the uplifting intersection of rhythm and melody and the joy of well-executed turn-of-a-phrase. At the beginning of the film, the elder man is losing his sight; blindness has been a fact of Kauflin's life since he was a young boy. It seems as if many of the lessons that Mr. Terry gives his student make place late at night, as if out of the darkness both musicians share, the light created by their discussions and the music continues to move them forward. Hicks uses close-ups to make sure we understand the relationship is more than just teacher/student but that there is great love that develops over the course of the lessons. No matter how you feel about creative music/jazz, you will understand how it informs the lives of Clark Terry and Justin Kauflin. There is no talk about "commercial viability", about how hard it is in the 2010s to make a living; instead, you will see how "alive" this music is in the hands of people young and old. "Keep On Keepin' On" comes to a close with Clark Terry lying in his bed yet still teaching, his body failing him but his spirit so alive that you cannot take your eyes off of him even as the camera pulls away. There's much more to this movie, including a great overview of Mr. Terry's career as well as the challenges of Justin Kauflin starting his life as a professional musician. See this documentary and you'll never forget it. For more information, go to keeponkeepinon.com. One of the pivotal scenes in the movie is when Justin Kauflin meets Quincy Jones. Like the young pianist, the great producer/composer and arranger had been mentored by Clark Terry and they have been friends for over 6 decades. Jones hears and sees what Mr. Terry hears and sees in Justin Kauflin, ultimately taking the young man on his world tour in 2013-14 and signing him to his QWest company. 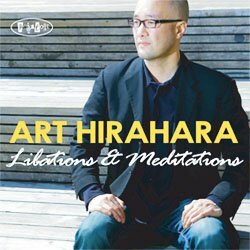 Their collaboration, recorded in July of 2014 and titled "Dedication", has just been released on Jazz Village/ Harmonia Mundi. The 12 tracks, all original compositions, include 8 with his Quartet of Billy Williams (drums), Christopher Smith (bass) and Matt Stevens (guitar, replaced by acoustic guitarist Etan Haziza on 1 track) - there are also 3 Trio tracks and 1 lovely solo piece, "Mother's Song", a piece stunning in its simplicity and emotional richness. Williams and Haziza both appeared on Kauflin's 2010 self-produced debut CD, the guitarist again on only 1 track. As you listen to the music, you will hear a strong rhythm section, an agile and creative pianist plus a fine second voice in guitarist Stevens. Several of the Quartet tracks, in particular the opening "Elusive" and "Epiphany", may remind the listener of the music Pat Metheny and Lyle Mays created in the late 1970s and early 80s. Guitarist Stevens, who has worked with trumpeter Christian Scott and the Next Collective, has a clear tone and a melodic bent which bends well with the more forceful piano work of Kauflin. There's a touch of funk on "B Dub", especially in the rolling piano chords; Smith and Williams push the music forward and the soloists pick up on their shifts in intensity. Kauflin's solos throughout the album, especially on the uptempo pieces, also display impressive forward motion, an excitement that is infectious for the listener. Hazes replaces Stevens on the closing track, "Thank You Lord", a gospel-tinged ballad that also has a "country" feel and a melody line just ripe for a vocal. Listen to the notes as they ring out in an articulate fashion on the piano solo. The Trio tracks include the handsome ballad "For Clark", all the more poignant if you have seen the movie. The impressive melody, the wide-ranging solo, and the soulful chords, all supported by an active and involved rhythm section really make this piece stand out. "Tempest" opens in a classical vein before moving out into another excellent Kauflin solo over a solid foundation from the bassist and active snare work. There's a hint of Keith Jarrett in the flowing piano solo that leaps from speedy single-not runs to hearty chordal work. The final Trio cut is the hard-swinging "Up and Up", a good description of the energy level of the 3 musicians. There have been a number of articles and blog posts over the past year about the "death" or, worse, the insignificance of jazz on the contemporary music scene. One could argue at length about the significance of any musical form but when you listen to "Dedication" (or the works of younger musicians such as bassist Noah Garabedian , guitarist Julian Lage, saxophonist Noah Preminger), you hear music that is still vital, moving forward and fighting complacency. Justin Kauflin understands the sacrifices a musician makes for his craft, learning from his mentors (including the late Mulgrew Miller) that "playing" is work until it is subsumed into your person and then it really is play, the pure joy of sitting at your instrument and just putting your whole being into the songs. Go find this recording and let this joyous music wash over your ears and into your soul. For more information, go to www.justinkauflin.com. Trumpeter and composer Duane Eubanks, brother of Robin (trombone) and Kevin (guitar), is a busy musician and teacher, so busy in fact that, "Things of That Particular Nature (Sunnyside Records) is his first CD as a leader since 2001 (and only his 3rd in total!) The CD, all Eubanks originals save for Mulgrew Miller's "Holding Hands", features the splendid rhythm section of Mark Cary (piano, Fender Rhodes), the seemingly ubiquitous Dezron Douglas (bass) and co-producer Eric McPherson (drums). Sharing the front line is fine tenor saxophonist Abraham Burton plus vibraphonist Steve Nelson on 2 tracks. There is plenty of drive in this music yet Eubanks does not skimp on melody. His crisp brass work blends smartly with Burton's first-rate tenor sounds. When Burton burst on the scene after attending both the Manhattan School of Music and the Hartt School of Music (where he worked closely with the late Jackie McLean), he was a "fire-breathing" player. He still can still "light it up" but now has matured into a still forceful yet highly melodic voice. He dances beneath Eubanks' trumpet on the ballad "Anywhere's Paradise" and takes a bluesy jaunt on "Purple, Blue, and Red." He shows a dash of "Philly Soul" (he grew up in Manhattan) on the funky "Dance With Aleta". Cary is a forceful contributor, whether pushing the tempo on "Slew Footed" or dancing his way through "Holding Hands." Marc Cary's work is exemplary throughout, whether combining his phrases with Nelson on the ballad "Aborted Dreams" or racing through the changes on "Beer and Water" (which has strong echoes of the music of Art Blakey's Jazz Messengers). The pianist joined the project after the passing of Mulgrew Miller and, while very much his own man, gives the music the weight that the late Mr Miller certainly would have added. His slinky Rhodes work, combined with the full tones of Douglas's bass and funky drums of McPherson, beneath the trumpet and sax on "Rosey" has the feel of the styling of the late Joe Zawinul with the Cannonball Adderley Quintet. Duane Eubanks does not posit himself in the center of the music; instead, he creates a group sound in which each musician is an equal. That approach works quite well, making the music sound human and not played by rote, showing heart and emotion instead of mere technical prowess. "Things of That Particular Nature" swings with authority, shows some fine dance steps and is quite delightful. For more information, go to www.duaneeubanks.com. 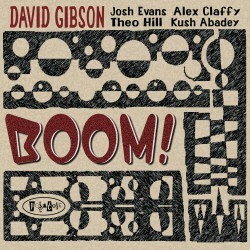 Trombonist and composer David Gibson has a new CD, his 6th as a leader and 3rd for Posi-Tone Records. With a title like "Boom! ", one might expect the season to be a high-powered, "in-your-face", hard bop but, instead, this is a pleasingly nuanced set of (mostly) originals that finds Gibson leading an impressive quartet of young musicians including Connecticut native Josh Evans (trumpet), pianist/Fender Rhodes Theo Hill, bassist Alex Claffy (Ralph Peterson) and drummer Kush Abadey (Wallace Roney). Like a number of Posi-Tone records, this session's music gives off the vibe of mid-1960s Blue Note Records. There are several high-powered numbers, such as "The Cup Bearers" (composed by Tom McIntosh for an Lp of the same name released by trumpeter Blue Mitchell) and Gibson's "The High Road", tunes where Abadey's propulsion, Hill's muscular chords, and Claffy's active bass work leads the way. Gibson's solos tend to be fairly mellow, phrases that are soaked in blue tones, while Evans' attack has a more forceful attack, not unlike Randy Brecker and Freddie Hubbard. He can be mellow as well; he shows a softer side on the funky "Grass Fed" although the drummer "gooses him into the higher register at the climax of the solo. That track, as well as "Empathy" and "The Dance", display the influence of Herbie Hancock, especially in the "floating" piano chords and elongated melody lines. Pay close attention on "Empathy" to the work of the rhythm section as the "freedom" in their playing resembles the work of Hancock, Ron Carter and Tony Williams in the Miles Davis Quintet. Whereas, on the title track, one hears the funkier side of the band, not unlike the sounds of Hancock with Billy Hart or Robert Glasper with Chris Dave. The program close with "Change the World", the ballad that Eric Clapton had a world-wide hit with the mid-1990s. Gibson et al don't mess around with the handsome melody and his solo, the only one on the cut, cover a wide swath of sonic territory and is fairly emotional. Again, the soloist locks in with the rhythm section, playing off their energy and cues. This is one of trombonist David Gibson's "working" bands (one features organist Jared Gold, trumpeter Marquis Hill and drummer Anwar Marshall and another adds Evans and Abadey to Gold's great organ sound) and most of them are part of Josh Evans Big Band. They know each other and it shows. "Boom!" has heart, soul, funk and fire; this music belongs in your life! For more information, go to jazzbone.org. Saxophonist Johnny Griffith, a native of St. Bonafice (Winnipeg), Manitoba, Canada, has just issued his debut CD as a leader. "Dance With The Lady" (GB Records) features 9 originals performed by Griffith (alto and tenor sax) with a splendid band including pianist Adrean Farrugia (Ernesto Cervini's band), bassist Jon Maharaj (Jamie Reynolds Trio), drummer Ethan Ardelli (Matt Newton) plus very special guest Jeremy Pelt (trumpet). The saxophonist met Pelt (who now is on the faculty of the Hartt School of Music in CT) several years and invited him to join his band. Listen to tracks such as "The Kuleshascope" (named for Canadian composer/educator Gary Kulesha) and the blues-drenched "Princess Aura Goes to Phrygia" (the title comes from the composer's favorite movie "Flash Gordon") and you can hear how much a part of the band Pelt is. "Syrah" is named for one of the important grapes of the Rhone region of France (also grown in British Columbia) - here, it is a medium-tempo ballad that has a gentle melody but a harder edge in the rhythm section. Ardelli can be a firebrand, his cymbals splashing through the pieces - his active snare work stands out on several tracks as well as his interactions with the soloists, especially Farrugia. Griffith writes that "Cinders" was inspired by Prokofiev's music for the ballet "Cinderella"; while there is no overt "classical" connection, the music glides atop the active rhythm section with excellent solos for the leader, Pelt, and Maharaj (pay close attention to how the pianist moves the music forward and "frames" the melody). The program opens with the swinging "The Zissou Predicament" (good possibility this is another movie reference, this time to Wes Anderson's 2004 "The Life Aquatic With Steve Zissou") and closes with high-energy "That Night..(Under The Bench)..So Long Ago" - the latter track also has a "sharp" swing element and each solo starts with a subtle shift in tempo, heading quickly back to full speed. One of the joys of this recording is that each time you listen, not only do you hear a new twist or turn but also you can hear how important each player is to the overall sound. No one is playing it safe. Kudos to Toronto-based sound engineer Stew Crookes who gets a great "live" sound from the Quintet, Of course, this is a band that should sound super in a fine performance space. "Dance With the Lady" grabs the listener from the first note and keeps one's interest until the last note of the alto sax on the final cut. Johnny Griffith and company do not blaze new musical trails but they make music that sounds fresh and exhilarating. For more information, go to johnnygrifith.com. The joy of discovering a new voice is how the power of what he or she does with his or her music can alter the listener's life. On January 20th, Ashley Daneman releases "Beauty Indestructible", her second album (but first to spotlight her work as a composer, singer and arranger), a stunning personal statement filled with strong melodies, lovely harmonies and the promise of redemption. Several years ago, the artist was diagnosed with PTSD and worked very hard to overcome the stresses that it put on her and family. This music is a celebration of life, of how music can heal and how one can begin to make a difference in the lives of others. Ms. Daneman has written that she grew up listening to Joni Mitchell and Ella Fitzgerald; one can hear traces of both those artists on these tracks but much of this music reminds me of Laura Nyro. The blend of pop, rhythm 'n' blues and jazz that permeates pieces such as "How You Got to Yes", "Think on Whatever Is Lovely" and the title track is dramatic yet intimate. The playfulness of "This is Somebody Else's Piano", with its poppy bouncing rhythms, overdubbed choir of trumpets and sprightly vocal is great fun. Kudos to her band, especially the splendid percussion work of Michael W. Davis, the subtle keyboards of David Izard and the solid foundational work of bassist Sam Weber. Add to those voices the contributions of cellist Amali Premawardhana, guitarist Matt Davis and the singer's husband Benje Daneman on trumpet and this music has plenty of color. But, what truly makes this music stand out is Ms. Daneman's voice and presence. Her assured singing, the smart vocal overdubs and the soulful quality of her delivery fills the speakers, spreading through the room and pulls you in. "Sing ('til You're Good and Live)" has the power of a Stephen Sondheim composition, the singer telling us how music helps one to conquer fears, sorrow and the pain life can bring. Later in the program (the penultimate track), she sings "You say to the dark/ you are tired of these things you've had to bear/ and now you want to go/ where no one's ever lost", you hear how her life has been affected by her illness but you don't hear pity or remorse, no sadness. The deep tones of the cello over the moaning guitar chords have more of a "country" feel than blues while the chorus of voices rising above the rhythm section has gospel overtones. 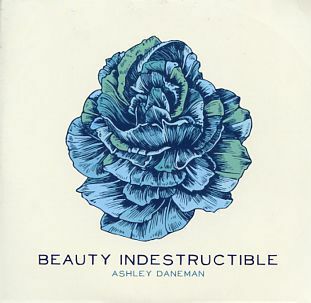 With "Beauty Indestructible", Ashley Daneman has created a profound work of art that is so alive, so positive, and so blessedly musical. Go to www.ashleydaneman.com and see what else she is doing with this music, asking for stories of inspiration to help people who may have lost hope. In a world which often seems to be growing harsher by the day, Ms. Daneman, through her music and her project, shows us there can also be brightness and optimism. Also, several of these songs can easily get stuck in the soundtrack of one's day and that is very good. By the time pianist William "Red" Garland made the trip to San Francisco's Keystone Korner for the week of gigs with bassist Leroy Vinegar and drummer "Philly" Joe Jones in December of 1977, he was 2 decades removed from his fine work with Miles Davis and 12 years into a semi-retirement. Garland had returned to his native Dallas.Texas, in 1965 to care for his ailing mother, rarely leaving the state to tour or even perform. He has recorded sporadically and would again over the next few years after this week of gigs. He passed away in April of 1984, 3 weeks shy of his 61st birthday. "Swingin' on the Korner" (Elemental Records) is a wonderful addition to Red Garland's discography. This 2-CD set, the only time this trio of musicians ever played together (Jones and Garland, along with bassist Paul Chambers, were the rhythm section for Davis from 1955-58), should serve to introduce Garland to a new audience while reminding long-time listeners what a classy and talented pianist he was. Both discs are filled with strong ballads and several swinging surprises (I love the shuffle rhythms of Monk's "Straight No Chaser", emphasizing both the blues and swing inherent in the piece.) Given the time of year when the recording was made, there is a lovely reading of Mel Torme's "The Christmas Song", so sweet and low (Jones's work is quite subtle here). The playfulness of "Autumn Leaves" (an uptempo reading with an irresistible walking bass line), the skipping rhythms of "On A Clear Day" (Jones take a long, ebullient, solo as befits his personality), the bounce of "Bag's Groove" (Garland really digs into his solo, delightfully interacting with the rhythm section), and the melodic sweep of "It's Impossible" makes for such enjoyable listening. Garland is certainly energized by Vinnegar and Jones plus one can hear the audience enjoying every minute. The music on this package is culled from the "board" tapes of the week saved by Keystone Korner owner Todd Barkan (he ran the club from 1972-83 and is co-producer of this set). The sound quality is quite good (especially the sound of the drums) and the booklet features essays from the producers, from Nat Hentoff, pianist Benny Green, interviews with Don Schlitten, Ira Gitler and Kenny Washington plus a reprint of 1979 essay written by Doug Ramsey. Even with all that and the photographs throughout the booklet, it's the music that will bring you back time and again. Red Garland was a pianist whose musical choices ranged from Broadway to pop tunes to jazz standards and more. He loved melody, the blues and rarely if ever overplayed. The way he moves from two-handed readings of the melody to exciting single-note runs not only demonstrates that his "chops" were in fine shape but also that his musical mind was as facile as ever. Listening to these 16 tracks, it's also clear he enjoyed playing with Messrs. Vinnegar and Jones. "Philly" Joe, in particular, sounds like he's having a blast. If you like piano trio music, "Swinging' on the Korner" sounds fresh, lively and downright joyous. For more information, go to elemental-music.com. There have been a slew of new CDs by artists under 30 released in the past 6 months and I am just catching up to them. There will be one more post before the end of this month. 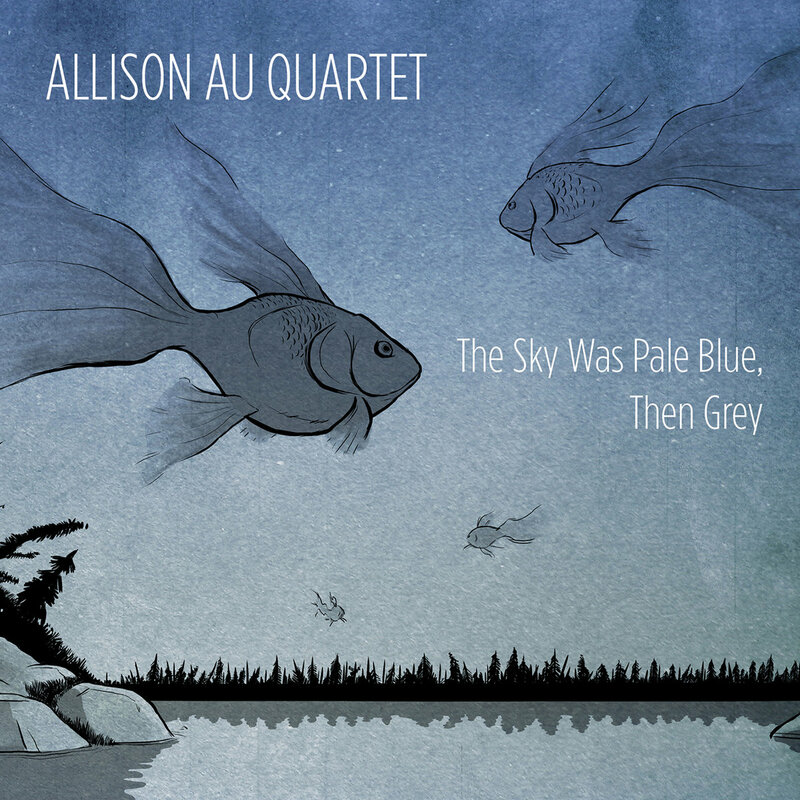 Alto saxophonist and composer Allison Au, based in Toronto, Ontario, Canada, self-released her debut Quartet CD "The Sky Was Pale Blue, Then Grey" in late 2012 and was nominated for the JUNO Awards as "Contemporary Jazz Album of the Year" in 2013 (losing to Joel Miller's "Swim"). The recording, produced by pianist/Quartet member Todd Pentney, has much to offer to the fan of creative music. Ms. Au's compositions are well-drawn, with long, often involved, melodies with intricate arrangements that gracefully ease into the solos. The rhythm section of Jonathan Maharaj (acoustic bass, electric bass) and Fabio Ragnelli (drums) are allowed great range of motion in this material so most of these tracks move in unexpected directions (even after numerous times listening, I am often surprised where this music goes.) It's also quite playful. "Birdy" opens the program with a melody played by saxophone and bass that feels like a story with the piano offering counterpoint and the drums painting the backdrop. The funky intentions of "What Went With the Wind" rise on Ragnelli's percussive strength and Pentney's trance-like piano riff. It's a piece that is busy and relaxed at the same time (listen especially to the drumming underneath the piano solo) -listen as well to the sweep of Ms. Au's alto, not unlike soprano saxophonist Jane Ira Bloom's approach to a solo. The title track opens on an excerpt of a 1966 interview with Morton Feldman and John Cage talking about the intrusion of transistor radios on the beach. Cage's reaction is to write compositions with radios as part of the soundscape. The music that Ms Au creates is certainly not intrusive but features electric bass and Hammond B-3 (the only instance both instruments appear on a track.) Cage and Feldman return and now the former says "What we need is a music which will not interrupt the noises of the environment, hmm." The quartet returns quieter, acoustic again - does the dialogue of the composers, who were both known for their "environmental" works, change how we hear music? In the final seconds of the piece, Cage returns to tell us (better yet, remind us) that "this (music?) is a coin that has 2 sides..the reality is the environment. What you want to do in it is an intrusion. The work of an artist..is it not an incisive intrusion, hmmm? Because, for heaven's sakes, it didn't exist until the artist does it." The "intrusions" that Allison Au has created for the listener with her Quartet on "The Sky Was Pale Blue, Then Grey" come from her experiences as a reader, musician and human being. The music feels organic, not forced, lived in, not created on the spot (for the recording session). Like the music of fellow saxophonists Wayne Shorter and Charles Lloyd, one needs to surrender to the sounds and follow the sonic trails - it's quite a rewarding journey. For more information, go to allisonau.com. New Hampshire-based guitarist Michael Blum, just 20 when he recorded his debut Quartet CD "Initiation" (self-released), has a sound that's easy to take and easier to get lost in. Produced by the bassist on the session and one of Blum's professors at the Berklee School of Music Jim Stinnett (he also composed 4 of the 10 tracks), the recording blends standards and originals, allowing plenty of solo room for the guitarists and the keyboards of Brad Smith (a veteran of the Boston scene). Rounding out the rhythm section is educator and drummer Dom Moio. Blum's original contribution to the program, "Six Weeks", is a duet with Stinnett, a blues-drenched dialogue with a bit of overdubbing (an electric bass solo). The guitarist works well with the bassist, bouncing off his thick notes or wrapping his phrases around the bass figures. 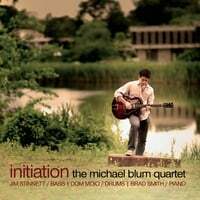 "Initiation" is the first step in what one hopes is a long and successful career for guitarist Michael Blum. He's definitely got the "chops"; he needs to stretch his wings, play as much as possible and continue to mature and take chances. That growth should be great fun to watch. For more information, go to michaelblumguitar.com. For his debut CD "Short History" (BluJazz) , tenor saxophonist and composer Paul Jones has created a program of songs built from the titles of great books. His sextet (not all 6 play on each track) includes the fine young Connecticut drummer Jimmy MacBride, pianist Sullivan Fortner, bassist Johannes Felscher, alto saxophonist Alex LoRe, and guitarist Matt Davis. The blend of sounds is fascinating, with Fortner's full-chordal attack juxtaposed to Davis's quieter guitar style and MacBride's adventurous drumming paired with Felscher's rock-solid bass lines. The alto and tenor saxophones make for an "airy" front line; neither musician tries to "outblow" the other, instead preferring to play the melody and harmony lines with similar strength. On the title track, the alto sax and guitar play the melody while Davis offers a counter-melody while the more frenetic "On The Road" pairs the saxes with Davis moving in and out of the melody line. The "drive" created by Fortner, Felscher and MacBride pulses with nervous energy yet, after LoRe' fine solo, the piece calms down for the guitarist's introspective solo. "The Fountainhead" has a slinky bass line, a funky beat and a well-developed melody. It's just sax with bass and drums and one feels the connection to Trio recordings such as Sonny Rollins "Freedom Suite" and the Henry Threadgill-Fred Hopkins-Steve McCall classic "Air Time." I love the openness of this particular track as well as the intimacy of the musicians interactions. That intimacy and openness extends into larger group setting, such as the mysterious "At The Lighthouse" that closes the program. The intensity of the saxophones flying over the hearty drumming gives way to a quiet piano solo over a throbbing bass line and splendid cymbal work. That's another impressive aspect of Jones' music; these multi-section pieces offer his colleagues freedom to move around and nothing becomes stale. The smart arrangement of Richard Rodgers' "I Could Write a Book" is chock-full of intricate section work in the statement of the theme before the bassist takes the first solo. "Short History" is an exciting recording as it straddles the styles of so many creative musicians without being beholden to any of them. The confidence and talent of Paul Jones and his musical collaborators shines throughout the program without pretension. Jones, who has recorded with Nicky Schrire and worked on guitarist Davis's "City of New York 2013" project, looks and sounds like a talent to be reckoned with, hopefully for many decades. For more information, go to paulthejones.com. My father (1905-1988) used to remind me that, as one grows older, time moves faster. We would argue with me being the rational one ("Impossible - time moves one second at a time at the same speed!") and he would counter with the irritating "You'll see what I mean soon enough." Here we are at 2015, many of us lucky to live in democratic societies. Although surrounded by the myriad issues that the bedevil the "Social Contract" and that the founding fathers hope to solve with the Bill of Rights and the Constitution, the United States often feels more "untied" than "united." If I had the patience, I would argue with those who feel we are headed down the road to anarchy by pointing out that, in many ways, that is the main struggle of a "free" society - that "road" is always open and one must continuously endeavor to keep on moving forward no matter the cost. Before these observations devolve into a screed, let's move on to music. I honestly believe that 2014 was a great year for creative music, especially for the various styles that have its roots in the Black American experience (I'm avoiding the word "jazz" because it's too confining.) If I had had the time, my "Best of..." would have swelled to close to 70 highly recommended recordings. Yet, this music that has so absorbed me for nearly 5 decades is continually being pummeled in the press, marginalized by writers who find "jazz" out of fashion, and ignored by much, but not all, of the "mainstream" press. Yet, I am hearing more music today created by people in their 20s and 30s who are creating fascinating voices and powerful sounds. And, these women and men give me great hope, hope that life isn't just about making money, going along with the crowds, killing at the drop of a angry word, about the color of one's skin, the sound of one's voice, about the subjugation of one gender, trafficking and slavery - all of which has gone on since the dawn of recorded history and shows no willingness to disappear. Music can and often does serve as a refuge for its creators and audience while reminding us of how much still needs to be done in our communities, our state, our country and our world. Change, like creativity, is always a daunting task and the freedom one hopes results from our actions is often fleeting - that does not mean we should stop trying. The world is ever evolving and we are hanging on for dear life. Much has been written about this new project of saxophonist and composer Miguel Zenon; "Identities Are Changeable" (Miel Music) is a continuation of and logical extension of the work the native of San Juan, Puerto Rico, has been creating over the past decade, that is exploring the musics and traditions of his native country. Puerto Rico, discovered by Christopher Columbus in 1493, has been an unofficial part of and apart from the United States since the US invaded the island nation in 1898. Puerto Ricans became full U.S citizens in 1917 and there have been numerous attempts to assimilate its population into America, a strong nationalistic movement helped the island become an autonomous U.S. Commonwealth in 1952 with its own constitution. There have also been movements to make the country the 51st State as well as its own independent country - read more at www.ushistoryscene.com/uncategorized/puertorico/ - and, at this point, there are more people of Puerto Rican descent living in the U.S. than on the island (information from www.pewhispanic.org/2013/06/19/hispanics-of-puerto-rican-origin-in-the-united-states-2011/). In his travels around the United States, Zenon became fascinated in the dual identities of Puerto Ricans, that many of them who've lived in the States for several generations still retain the traditions of their parents and grandparents. And, he was curious how these people dealt with racism and the fact that so many are dark-skinned. What he discovers through the interviews scattered throughout the recording, he then translates into a musical experience fed by the percussive fires that underlies Afro-Caribbean music (drummer Henry Cole provides the drive throughout and is, in a word, magnificent - kudos as well to the other longtime members of Zenon's Quartet, pianist Luis Perdomo and bassist Hans Glawischnig, for their impressive contributions). Mix that with traditional Puerto Rican music, the African-American musical worlds that Zenon has travelled in throughout his career, the sound of Charlie Parker one often hears in the cascading notes from the leader's alto saxophone plus the impressive colors of the 12-man reed and brass section and you have an experience that is educational, transformative and highly entertaining. Many of the tracks include melodic phrases built from speech patterns of the interviewees and the musicality of the voices is interwoven into the fabric of the story. The warmth of the arrangements, the often stunning solos from the leader, the different emotions that course through the program, makes this such an engaging experience. Despite what one might read about the "makeup" of American society, this country is and remains a "nation of immigrants". Many of those who came here for the economic opportunities, religious and personal freedoms that have been the underpinnings of this society have assimilated while others, due to the color of their skin or desire to retain ties to their cultural roots, have been pushed to the edges (a look around at this country shows us that, while much has changed and continues to change, "institutional" prejudices take many generations to overcome.) With "Identities Are Changeable", Miguel Zenon addresses these issues through the lens of his own upbringing, his journey to the United States and his experiences as a musician, husband, father and educator by making the experience universal and not about himself. Along the way, he creates music for his Quartet and Big Band that not only displays his continuing maturity as a composer/arranger and soloist but also makes for wonderful listening. For more information on the composer and this project, go to www.miguelzenon.com/identities/mz_digital_booklet_identities_are_changeable.pdf.